Cameroon’s northwest authorities suspended the movement of all non-emergency vehicles in the area where they say 79 schoolchildren were abducted. The restrictions began Tuesday in some districts in Bamenda to facilitate search and rescue operations for the abducted children, according to local authorities. 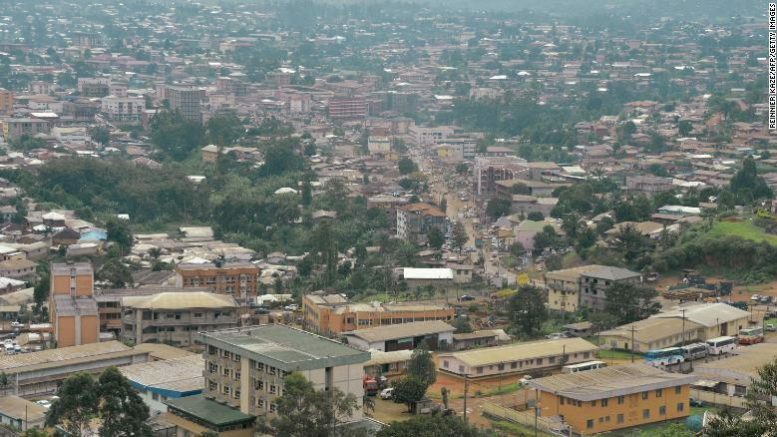 The pupils were taken around midnight Monday along with their teacher, the principal and a driver, from their boarding school, the Presbyterian Secondary School in Bamenda city, authorities told CNN. Monday, the army deployed military police and helicopters to search for the children. Though no one has claimed responsibility for the abductions, authorities did not rule out the involvement of secessionists fighters, who are waging war in Cameroon’s English-speaking provinces. Several separatist groups have denied involvement in the kidnapping. Ambazonia Defense Forces spokesman Tapang Ivo Tanku, in a statement posted on Facebook, alleged that government forces took the students. He described the kidnapping as a “mass distraction tactic” by President Paul Biya’s government to divert international and local attention from the President’s inauguration. He said members of the separatist group had been ordered to search communities in the region to uncover the kidnappers’ hideout. Biya, who has ruled the West African nation for 36 years, was sworn in Tuesday for a seventh term. He called for peace in the country’s troubled Anglophone regions during his inauguration in the country’s parliament. He, did not, however, address the schoolchildren’s abduction, according to local media reports. Kidnapping incidents have increased this year in Cameroon’s volatile Anglophone regions by armed separatist groups calling for a secession of those areas, according to Amnesty International. Though no one has claimed responsibility for the abductions, authorities did not rule out the involvement of secessionists fighters, who are waging war in Cameroon’s English-speaking provinces. Seven students and a head teacher were kidnapped in September by armed separatists from their school in the town of Bafut, in the northwest of the country, according to Amnesty International. The hostages were “tortured and seriously injured” by their kidnappers before their release, the human rights group said. On Tuesday, Stéphane Dujarric, a spokesman for the UN Secretary-General, condemned the reported kidnapping and called for the children’s immediate release and return. “There can be no justification for these crimes against civilians, particularly minors,” Dujarric said, adding that the United Nations was ready to assist with “an inclusive dialogue process” for a peaceful solution to the crisis in the country’s northwest and southwest regions. Be the first to comment on "Cameroon authorities have suspended vehicle movement in the region where 79 children were kidnapped"